This is another example of Ishinomaki's creativity. Hayashi-san, the third generation of the family who runs a kimono store at Tachimachi Shopping Mall Street, is creating unique Ishinomaki Kokeshis, a new wave of Tohoku region's traditional wooden dolls which have motifs inspired by Ishinomaki's nature. These colorful kokeshis with expressive faces are available at his store Tree Tree Ishinomaki. Special bespoke kokeshis are also available. 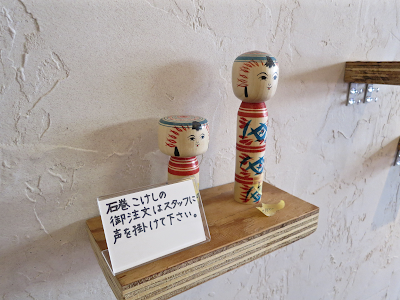 These are Hiyori KitchenKokeshi and Ishinomaki 2.0Kokeshi. I visited another place I named in Ishinomaki—the Nick. This is a newly opened shared office space on the second floor of an ex-butcher shop on Tachimachi Shopping Mall Street. Like the adjacent shared house 88th Night, this place was renovated in DIY style. 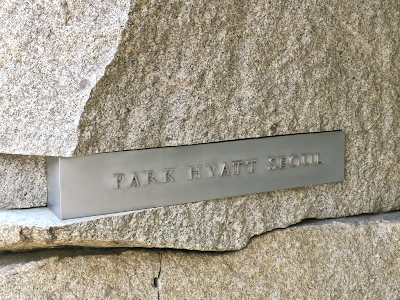 I named this place after the Japanese word "niku", which means meat, paying respects to the original owner of the building who is a merchant at a traditional shopping mall. The Nick has 3 rooms and one of them is used as the global headquarters of Ishinomaki's creative shop Makigumi. And their tiny head office has already become the birthplace of game-changing ideas such as Triton Project. 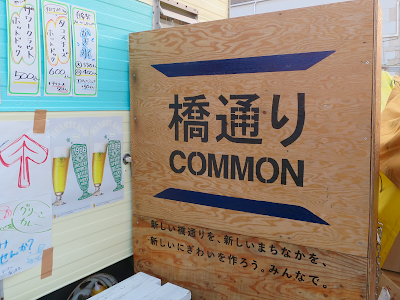 I checked out Comichi Ishinomaki which is near completion. Comichi is an ambitious development project to bring vibrancy back to Matsukawa Yokocho —a historic narrow alley connecting the riverside and downtown Ishinomaki. 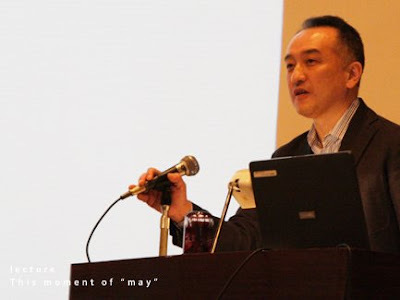 The project including restaurants, residences, and shared houses targeted at younger generations is driven by local land owners and people who are working on community building in Ishinomaki such as Kyoko-san from Makigumi. Comichi, meaning a narrow alley in Japanese, abbreviates "Community with Interaction, Creativity, History, and Innovation" and this was what I came up with in a naming workshop with high school students of Ishinomaki School. 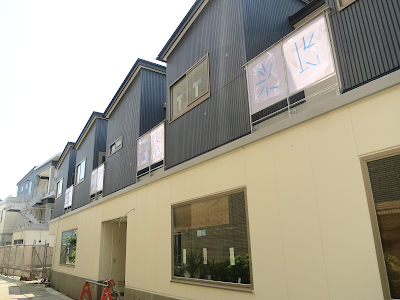 Together with adjacent Hashidoori Common, this place will nurture new lifestyles and re-energize Downtown Ishinomaki. Visited Hashidoori Common for the first time since its grand opening. This vibrant outdoor food & retail space in central Ishinomaki has already become a magnet for Ishinomakians and visitors as we expected. And I'm so glad to see that as the "godfather" of this place. Lunch time with Miku-san (left) and Eimi-san from Ishinomaki 2.0. With Eimi-san from Ishinomaki 2.0. She successfully organized Play on the Street. Nao (left) and Mogi-Miho from the legendary first graduating class of Ishinomaki School. Eimoto-san (left) from Ishinomaki Handmade Commercial Film Project, and Shima-san, a marketing professional and business consultant who is supporting Makigumi. And Ishinomaki's famous dog, Okoge-san. 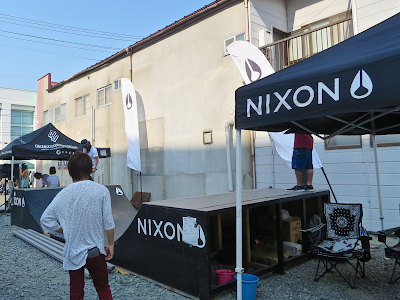 Some highlights from Ishinomaki Stand Up Week 2015.Play on the Street is the program to bring the best of Ishinomaki's street sports and culture. It includes skateboard and BMX demos, a kendama experience, futsal matches, a break dance performance by a local high school duo, a ball game for kids, and so on. The energy of Ishinomaki's street culture is quite dynamic, and it's great to see a whole generation, from small kids to the elderly, enjoys it. 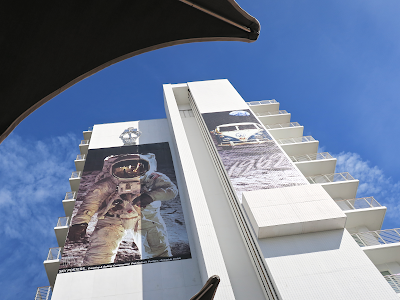 Tanabata ornaments are not the only reason why you want to look up to the sky on Aitopia Avenue. 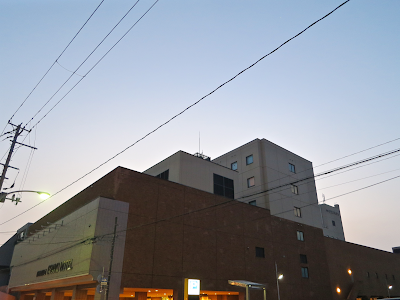 In the evening, 8mm films that captured old-time Ishinomaki were projected onto the building. 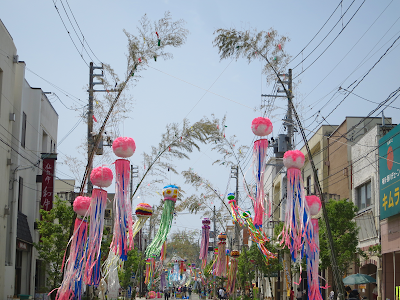 On Aitopia Avenue now filled with tanabata bamboo ornaments, artist Iori Yoshimoto is creating participatory art work "Make a wish upon tanabata." 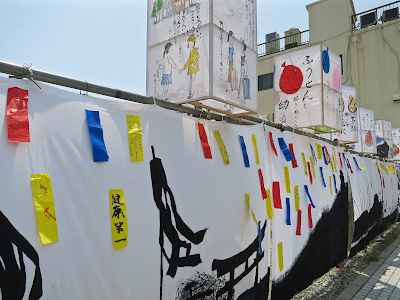 Everyday during the event, Yoshimoto-san keeps drawing his favorite landscapes of Ishinonomaki in black and white, then the audience participate in the making of art writing their wishes about Ishinomaki on colorful tanabata paper strips and putting them on the drawing. 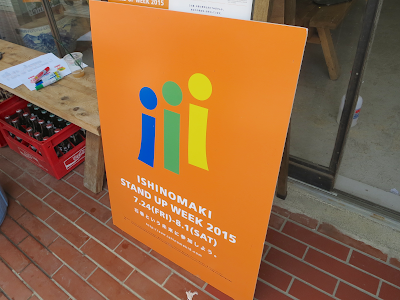 This is also a program of Ishinomaki Stand Up Week 2015. 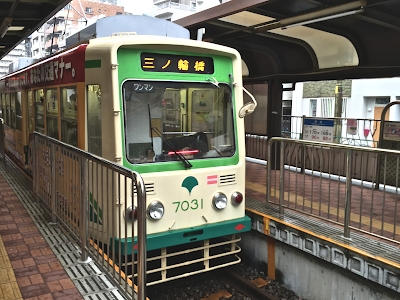 "Hope Ishinomaki will become the most interesting town on earth. —Shunsuke Iwai"
The art, the artist, and fireworks. 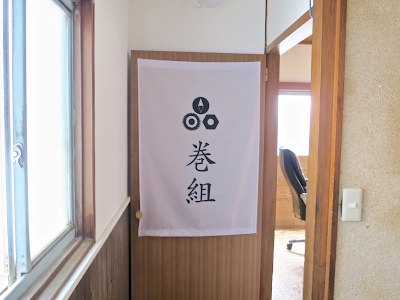 As always, IRORI Ishinomaki, the global headquarters of ISHINOMAKI 2.0, became an information center during Ishinomaki Stand Up Week. This year, the visual identity of SUW was designed by Hinako, Art Director of Makigumi, and creative directed by myself. Event T-shirts and face cloths are on sale. 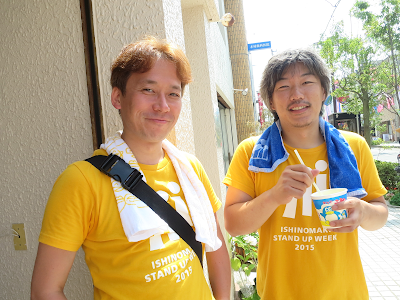 The collection of ISHINOMAKI 2.0 and Stand Up Week T-shirts. They are also available for sale. ISHINOMAKI 2.0 team set up Tanabata Depot next to IRORI Ishinomaki. 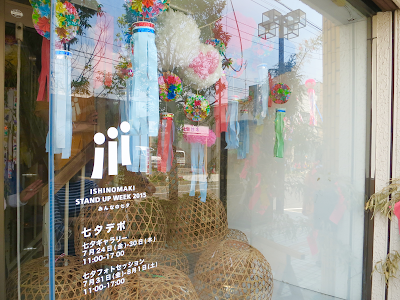 During Ishinomaki Stand Up Week, this place became a tanabata ornament gallery, a studio to have photo sessions with ornaments, and a dock for the ornaments in the evening. "Join the future called Ishinomaki." —the slogan I wrote for Ishinomaki Stand Up Week 2015. I stayed in their Japanese-style room for the first time. The room is spacious and has a spot garden. Not bad.